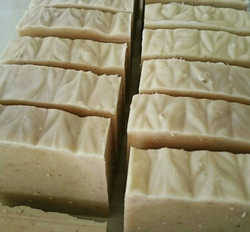 Pure coconut oil soap . no chemicals only cocnut oil. Made from 100% Vegetable Oils. Bakson's Sunny Derm Aid Soap Enriched with the goodness of Berberis, Thuja, Aloevera and Calendula which keeps skin healthy and radiant, free from Rashes, Acne or infections. Counters dry, chapped skin keeping it soft and supple. Berberis is a herb imported from U.S.A.
Dr Batra's - Bathing Bar Enriched with berberis aquifolium & echinaacea. Benefits of Quality Goat's Milk Soap. We offer to our client superior quality Fresh Lime Soap. These Fresh Lime Soap, we make use of high grade raw material. 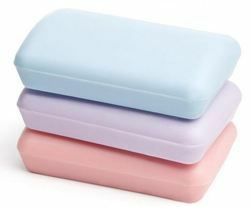 This soap gives coolness and freshness after Bath. These products are available in market. Himalayan Bath Salt Crystals / Soap contain 84 essential minerals, more then any other salt, such as magnesium, potassium, bromide, and calcium are readily absorbed into the skin. Naturally harvested from mineral-rich ocean waters that dried and crystallized 250 million years ago.